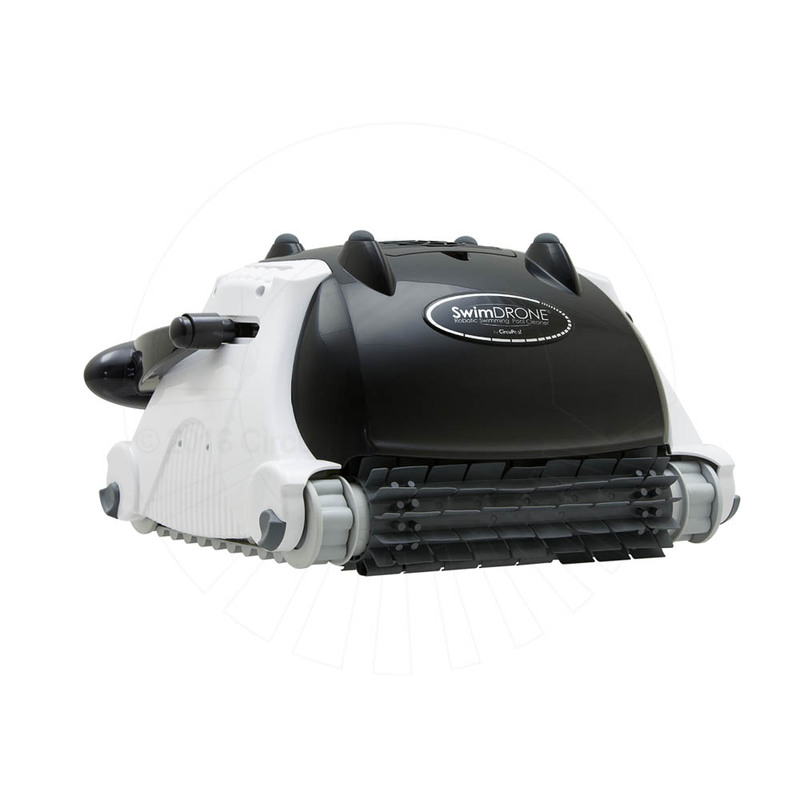 SwimDrone advanced robotic swimming pool cleaners scrub, vacuum, and deep-clean pool floors, walls, and coves. Using its patented AquaSmart active sensor system, SwimDrone robotic cleaners intelligently learn your pool shape to automatically remove tough dirt and debris. 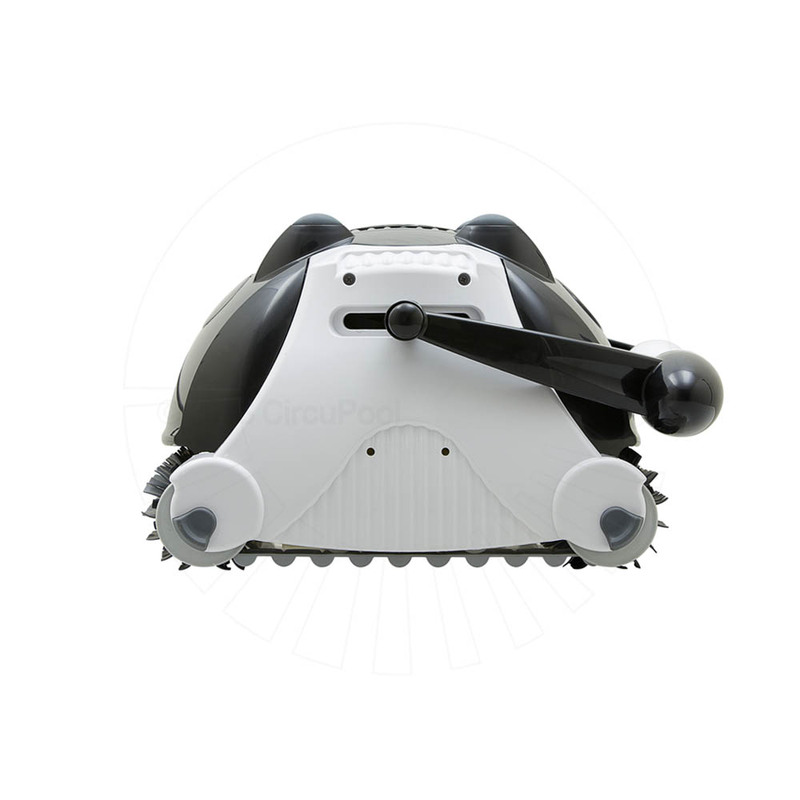 SwimDrone robotic cleaners can clean most typical residential swimming pools in about two hours! Thanks to its smart algorithms and gyro sensors, the SwimDrone scans the best path to ensure systematic cleaning and total pool coverage while preventing wasted time or tangles. 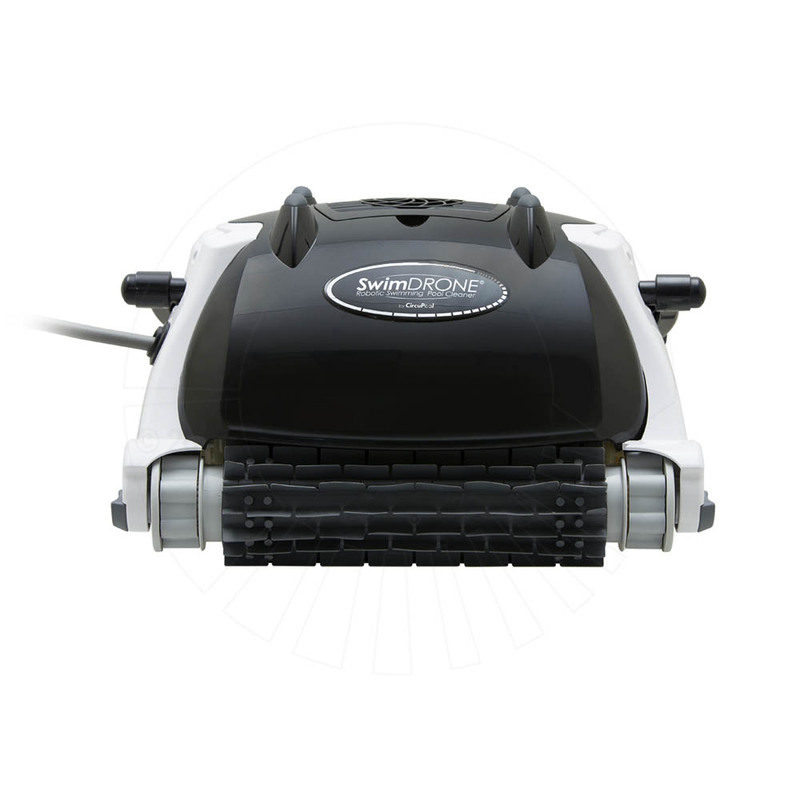 The SwimDrone features dual scrubbing brushes for heavy duty cleaning performance. 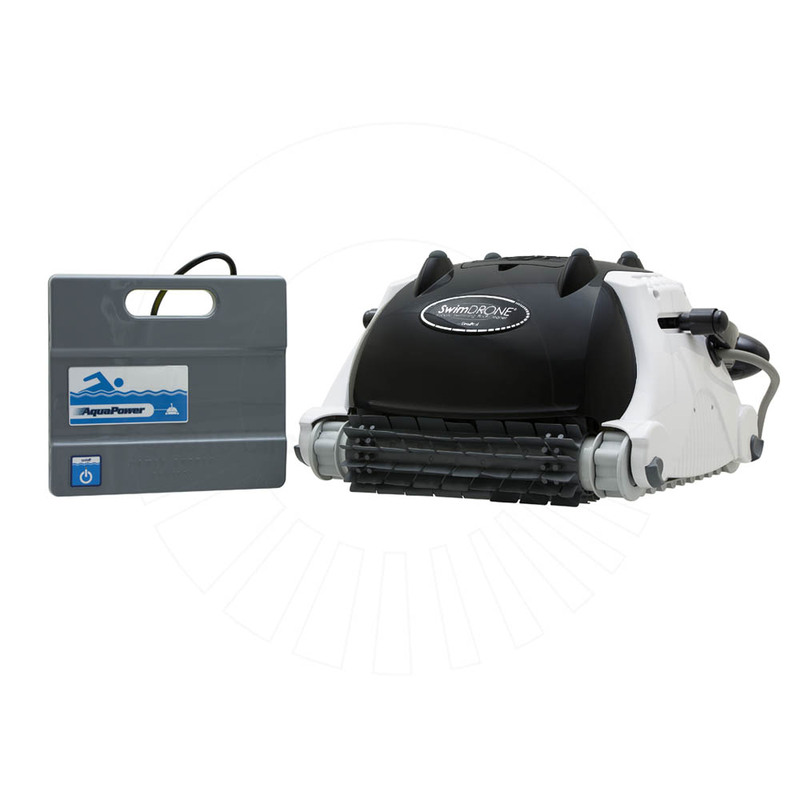 Designed for residential pools of all sizes, SwimDrone robotic cleaners have independent filtration as they scrub and vacuum - no extra pump equipment or suction connection required! It uses any standard 110V power outlet, and no installation is required. I love this bot. I put it in my pool and plug in the control box and let it run. It ususally takes around an hour and half to completely clean my pool. I'm so grateful I bought this. I don't have a dedicated line built in my pool so an electric cleaner was god sent. A: This unit is designed to scrub and vacuum as it goes along. That includes leaves as well as dirt, sand, and other debris. Just remember the more debris that gets in the pool, the more the cleaner's filter needs to be emptied! Q: Does this clean steps? 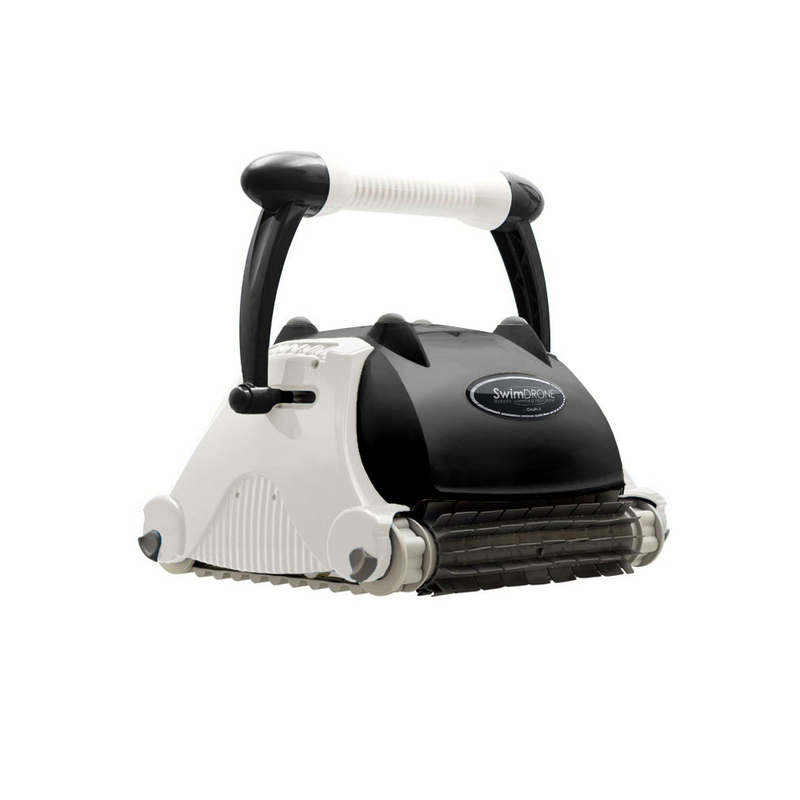 A: Yes, this robotic cleaner does a great job handling vertical surfaces and steps. The SwimDrone’s advanced Aquacontrol system offers simple controls and external timer option for integration with existing pool controls. 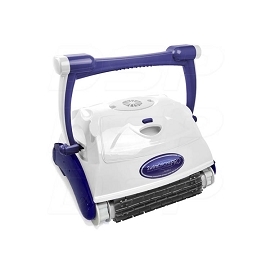 Includes 3D filters - Swimdrone robotic pool cleaners have their own built-in pool filtration. After scrubbing your pool, it captures impurities using included fine 3D filters or ultra-fine filter bag (included), effectively removing bacteria and algae to provide crystal clear water and significantly reduce the need for chemicals. 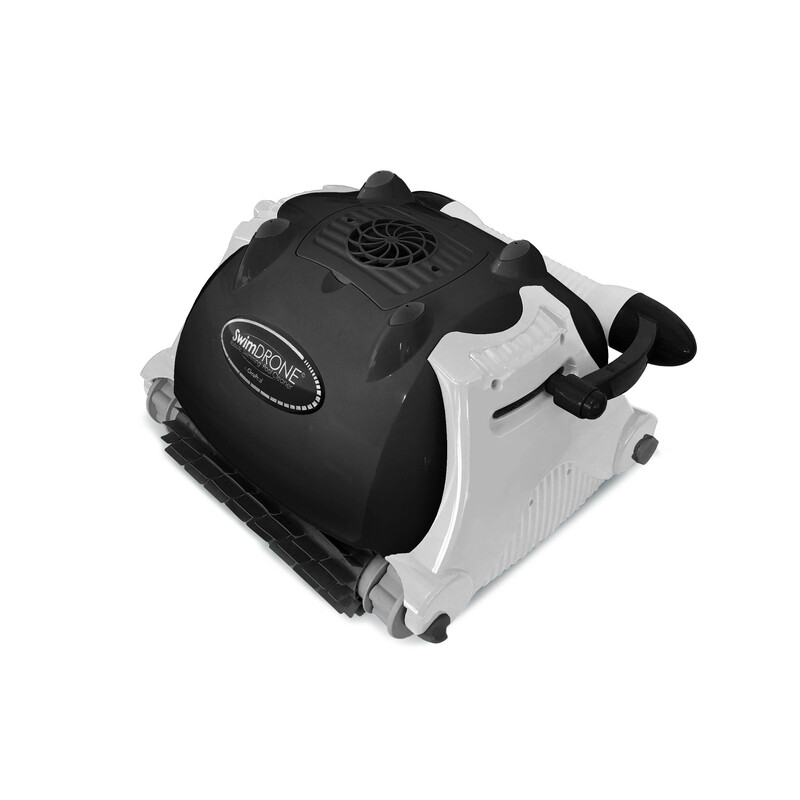 Its bottom-access filters are ergonomic and easily cleaned, allowing minimal contact with the dirt.